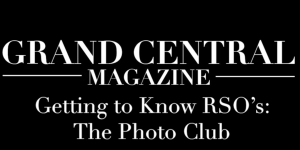 Spending Spring Break Abroad: One Student's Upcoming Trip to Rome | Grand Central Magazine | Your Campus. Your Story. Sophie Schuetze, a Traverse City Junior, will be traveling to Rome this spring break not for a vacation, but for a mission trip. Schuetze will be going to Rome through an organization called FOCUS or Fellowship of Catholic University Students. She said she found out about this opportunity through St. Mary’s, the on-campus Catholic church. 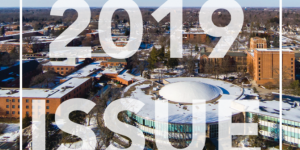 FOCUS is on college campuses all over the country and wants college students to help make the world a better place and to help students to live a life of purpose. Since she started her journey of attending college she found herself becoming more drawn to God. 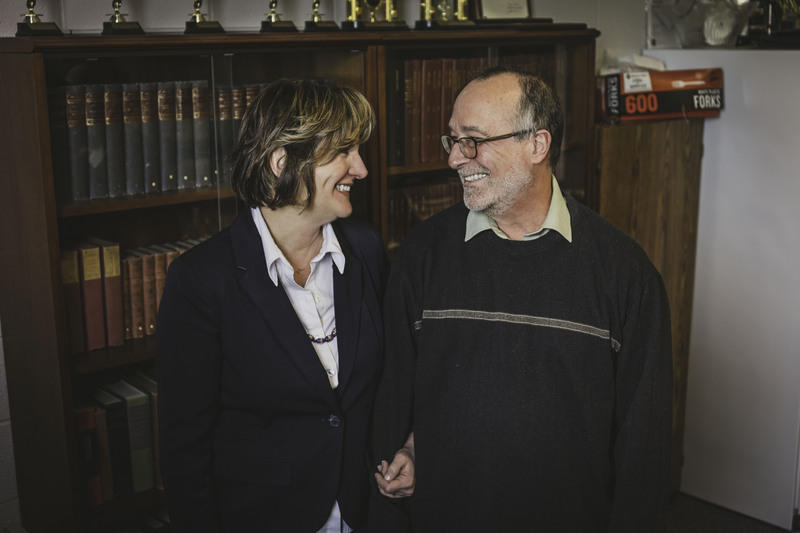 Schuetze said she was originally torn between going to Rome or Australia, however, she chose Rome in the end because she felt she would get closer to God with the city being so close to the history of Catholicism. 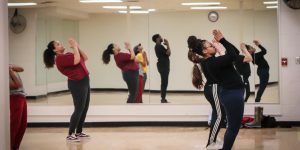 She will be leaving Friday, March 3 for Washington D.C., where the students involved in the mission trip will have a retreat getting them ready for the experience of making a difference. Schuetze said there are students from all over the country going to Rome with her. They will then fly to Rome on Saturday and arrive back in the United States the following Saturday, March 11. She said she doesn’t really know what every day will be like in Rome because she hasn’t been given the itinerary yet, but she does know she will be helping Roman Catholic Nuns with the less fortunate for some of the days while there. Schuetze said she has always wanted to do mission trips, but one of the main reasons she finally did it was because of one of her best friends, Keegan. About two years ago, Keegan, was severely depressed and saw suicide as her way to escape. Schuetze is bringing her best friend with her on this mission trip because Keegan had a deep passion for mission trips and helping others. She said she is still very close to Keegan’s family and was sent a package from Keegan’s mother. 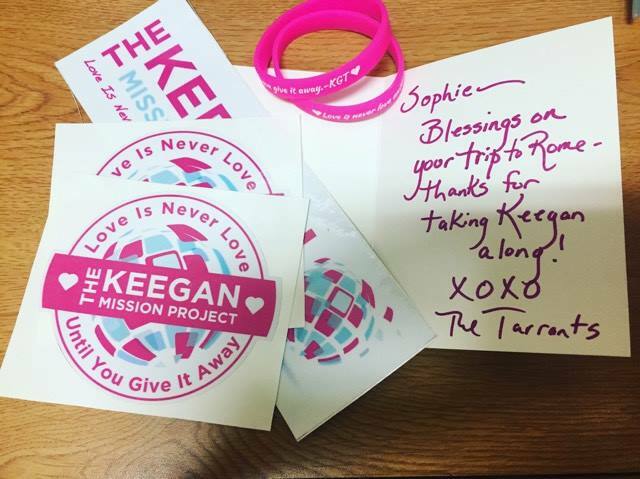 After Keegan passed away her family created The Keegan Mission Project. The Keegan Mission Project is about giving others the opportunity to positively impact lives through mission trips that wouldn’t be financially able to. The package included stickers, bracelets and a note from Keegan’s family thanking Schuetze for taking Keegan with her to Rome. Schuetze said her friends bring things of Keegan’s when they go on mission trips so they can leave a piece of Keegan behind. Schuetze said she plans to do the same as her friends and will be bringing something of Keegan with her to Rome to leave there so Keegan will forever be doing mission trips all over the world. Separator image Posted in Features, Lifestyle, Student Lifestyle, Students and tagged with Clarissa Kell, Focus, Mission Trip, Rome, Sophie Schuetze, Spring Break, The Keegan Mission Project.